Myrna Smith Eyre, age 91 of Raleigh, passed away Friday, December 8 in her home surrounded by her family. Myrna was survived by her husband of 69 years, Carvel Eyre; her brother Gary Smith of Slidell, Texas; her daughters, Patti (Tom Fitzpatrick) of Ann Arbor, Michigan, Marjorie Eyre of Sylva, North Carolina, Sally Sigan of Lake Zurich, Illinois and Nancy Eyre of Raleigh; beloved grandchildren, Karl Fischer, Beth Leonard, Shawn Leonard (Megan), Alex Camp (John), Jack Sigan (Stephanie), Stevie Zvereva (Stas), Gwen Sigan and Tatum Eyre; beloved great grandchildren, Christopher, Dominic, Ryan, Owen, Marisa, Jemma, Liam, Olivia, Zoya, Nikolai, Abigail and Alana. She was preceded in death by her brother Linton Smith. Myrna was born on August 26, 1926, in Lake City, Michigan to Linton and Odeal (St. Aubin) Smith. Upon graduation from Midland High School in 1944, Myrna enrolled in the Harper Hospital School of Nursing Cadet Corp program in Detroit, Michigan. Because she was 'too short' to serve overseas, Myrna was sent to work in a psychiatric hospital in White Plains, New York. When the war ended, Myrna returned to Midland, Michigan. She married Carvel Eyre on August 14, 1948, and worked as a private duty nurse until she stopped working to raise her family. The Eyre's had four children and moved several times. When the family moved to Cape Girardeau, Missouri in 1966, Myrna went back to work full-time at Southeast Hospital in the Intensive Care Cardiac Unit. 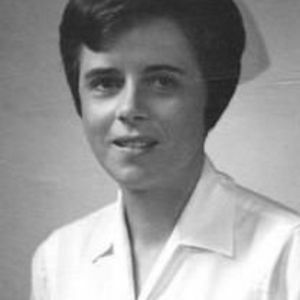 Coronary care became her area of specialty and when the family moved again to Worthington, Ohio, she went to work at Riverside Hospital in Columbus, eventually becoming head nurse of the Coronary Care Unit. Carvel's career uprooted the family several more times and Myrna worked at York Hospital in Pennsylvania, and Midland Hospital in Michigan in the ensuing years; by the end of her nursing career Myrna was licensed to nurse in 5 states! Myrna and Carvel loved to sail. They sailed all of Michigan's great lakes and Chesapeake Bay. Myrna's tiny size made her the perfect second mate and galley cook. They also loved to travel and besides being on the water, Myrna's next favorite thing was to be on the beach. They fell in love with North Carolina and decided to begin their semi-retirement in Raleigh. Myrna worked as a home health nurse, and her last nursing job was as camp nurse for Camp Seafarer in Arapahoe. Being a nurse was important to Myrna, but she was also a talented seamstress and quilter. Her four daughters, grandchildren and great grandchildren were the beneficiaries of her creative inspirations. Myrna was a member of the Loose Threads chapter of Capital Quilters of Raleigh and crafted countless quilts for area Neonatal ICU hospital units. Myrna and Carvel were very involved at Hudson Memorial Presbyterian Church. She received an Honorary Lifetime Membership of Presbyterian Women. She was in a Women's Circle and the Sewing Guild, and left a legacy of hand-sewn wall hangings, bible covers, and church linen for the church, to say nothing of many missionary sewing projects sent throughout the country and overseas. Finally, aside from her creativity, the single most distinguishing gift that Myrna gave to her friends and family members was her sense of humor. She was a clever, witty prankster who never missed an April Fool's Day opportunity. Her letters were beautifully written and always elicited laughter. Myrna's intelligence, creativity and clever sense of humor are not lost to us; they live on in her daughters, grandchildren and great grandchildren. A visitation will be held at the Brown-Wynne Funeral Home at 1701 E. Millbrook Road, Raleigh, North Carolina from 5 p.m. to 7 p.m. on Monday, December 11. A memorial service will be held at Hudson Memorial Presbyterian Church, 4821 Six Forks Road, Raleigh, NC, at 2:00 p.m. In lieu of flowers, Myrna requested that memorials be given to the Hudson Memorial Presbyterian Youth Ministries, or Hayes Barton's Broadcast Ministry.